On this Basic CPA online tutorial we will learn, how to choose a top CPA offers, select a related domain name and buy a hosting solution. According to Wikipedia “A Domain name is an identification string that defines a realm of administrative autonomy, authority or control within the Internet”. In simple word, domain is name of your website. According to Wikipedia Hosting means “Act as host at (an event) or for (a television or radio program); or to store (a Web site or other electronic data) on a computer connected to the Internet.” In short hosting is a space where you have to keep web data such as html, css or programming code, email and backups. Domain and Hosting is essential for marketing or promote your CPA offers. To gain trust of your customer you must have to buy paid domains for CPAs. Free domain may loss of your all promotional efforts. In the same way free space is not suitable for CPA hosting. In CPA hosting need to capable to receive more visitors than regular website. At first enter into your CPA networks. Click on search campaigns to see all of your CPA offers. Now click on EPC so that you can see the top epc rated offers. EPC means Earn Per Click. And now click to open up your offers and read carefully all the requirements. Here you will see what you should do or you should not and what you have to do to get payouts. In the next step, now visit: domainsbot.com to get some ideas of registration a domain name. Type a domain name or keyword and click on domain suggestions and search. You will get lots of ideas. Now select only those extensions which you looking for or interested to purchase. You can also select any synonyms according to your keyword. Search again and again until you get your desired domain name. After choosing domain names now visit https://www.zhostbd.com/ to purchase your domain. zHost Bangladesh offers free domain and SSL Certificate when you purchase any hosting package. There is a small package you can take. This package’s cost as low as only 1500/- taka. This domain is free for first one year and SSL Certificate is free for life time. If you have face any problem to purchase just feel free to contact us. We will help you by registering a domain name and hosting package you looking for. If you want to learn more about CPA marketing then you can visit our facebook group. The name of this group is “zHost Academy”. Just make request on zHost Academy we will accept it as soon as possible. You can ask there anything CPA marketing related. First, follow the pin post above. Here you will see the all videos step by step which will help you to learn CPA marketing basic course easily. Hope, you enjoyed and learned well from “How to choose a cpa offers and Domain/Hosting – CPA basic course – P5”. Welcome everyone to Basic CPA Marketing Course Part 4 – The Secrets of Getting a Maxbounty Account. Today we will discuss about how to get approval on Maxbounty CPA Network. We know this is the number 1 CPA Network all over the world. Get approval on Maxbounty is not easy at all. Watch this Bangla CPA tutorial carefully because it’s really exclusive. I hope this video tutorial will really help you to get an account. Recently, I heard from many people that Maxbounty don’t accept any new client or Bangladesh is rejected or banned. It’s not real information. Pay attention, if Bangladeshi’s are not allowed to get any new account then how you can still open Maxbounty site. So, Maxbounty still accepting Bangladeshi if he or she is a real marketer. Now let me show the secret process how to get approval on Maxbounty. I will show you with some steps. Carefully follow these steps. Step 1: Open your tab and visit offervault.com and find a Maxbounty offer which you can understand well. Then open this offer. Then you will be redirected to Maxbounty main page. Step 2: Now you will see two options. In the left side you will see “ Become an Affiliate ” and the other side you will see “ Become an Advertiser ”. Advertisers are who are offering us to promote an offer and Affiliate means who promote those offers to make money. You have to click on “ Become an Affiliate ”. After that, you will see the command “ JOIN MAXBOUNTY NOW ”. Just click over there. Step 3: Here you will see a sign up form under affiliate sign up section. According to this form first select your name. And your company name. If you don’t have any company then you can put here your full name. It’s not a big deal. Now give a password what will be used for log in next time if you get approval and confirm it. Then click on the next button. Step 4: Give your email information. This will be used for later when you wish to log in and retype your email. Now give your mobile number so that they can reach you to take your interview. It’s very important things. Don’t make any mistake. If you mistake in this field they can’t reach you anyway. Below give your another mobile number. If they can’t reach with your first number then they can try with your other mobile number. Then select your time zone. As a Bangladeshi you should select “ +6 ”. Now select your available reach. It’s important because they will call you at that time as you prefer. So, please select your best time to call you. Now give your skype username as your instant messenger and tell them how you get information about Maxbounty. Choose Offervault. Then click on Next button again. Step 5: On this address section give your address information where you live and City. We are not North American so you don’t need to fill up this box. Select your state below as a non North American. Now select your country and zip or postal code according to your address. Step 6: This is very important section. Select your experience level. Now tell them about your past experience in affiliate marketing and your planning that you are going to promote their offers. Fill up those two boxes carefully. And tell them what kind of offers you looking for. Give your website URL. And lastly tell them that this account is not incentive traffics. Then click on the next button again. Step 7: Finally mark all the three options to agree with their terms and conditions. Your application is done. Now just wait for the interview. After completing a success interview they will approve your request and let you in. Welcome everyone to our new tutorial “Instant access with CPA Networks”. Actually, get an approval in a CPA Networks sometimes not easy. Some of the networks make an interview with phone or instant messenger though there is also some network places that are approved an account instantly. Here is the list some them. At the top of page you will see two options one is advertiser and other is publisher. Advertisers are who published offers to the network place. Don’t click there. You have to click on publisher section because we are going to work as a publisher. Some of the networks use “affiliate” instead of “publisher”. Remember both are same option. So, now click on publisher button. Now you will see the “Join cpagrip” button just click on it. And then you will see the full registration form. You have to fill up that form correctly and of course with real information of yours. Choose your first name and last name according to your certificate or ID card. Now select your company name. It’s not recommended to fill up. But it is important to get approval. You can select your page name or your full name. Now the important part is “website url”. In my previous video tutorial I told you how is important to get a domain and hosting. If you have website and prepared very well then your account manager will appreciate you as a professional marketer. So, this will help you to get access with any networks. Now fill up street address section. If you can’t provide your full address with line 1 then you can use line 2. Then select your country where you live. Don’t put any fake information. And then select your “City” area. Then select your state code. As a Bangladeshi our code is “+880” and select your postal code according to your address. After that, put you mobile operator number so that they can reach you if needed. Don’t hesitate, CPAGrip won’t call you. It’s just a formality. Now choose your “IM” service section. IM means “Instant Messenger”. In this field you can choose skype. And then choose your username of skype account. Now choose a publisher type. Don’t worry, just choose what you like. And then put an e-mail address. This e-mail address will be used as your log in information. When you will try to log in there then this e-mail address will be needed in future. So, be careful don’t make any mistake cause it’s really important. Then set your password and confirm it by giving twice with same digit. Now select the time zone you live. As a Bangladeshi our time zone is “+6”. Now complete your human verification. Now click on the box to accept their terms and conditions. Tell them where you heard about them. You can choose it as your wish. For example you can choose “Google”, “YouTube”, “Offervault” even my name “Riad Khan”. So, finally you will get verification link from CPAGrip and then just click over there to verify your account. Then you will get all the access. Now your job is done. You get an account on CPAGrip!!! Good Luck. If you have more questions feel free to contact us. Thanks. Today in this Basic CPA Online Course Part2 tutorial you will learn how to create an account on Payoneer to get paid from CPA Networks. According to wikipedia “Payoneer is a financial services company that provides online money transfer and e-commerce payment services.” So, I hope you understand the importance of having a payoneer account. When you start working with any CPA Networks then you need to withdraw your earning and payoneer is faithful company, which provide international MasterCard. You consider the account to transfer your earning. So, you need to create an account there. Here is the Payoneer Affiliate link: https://goo.gl/NpjFtD to create an account. The benefit of this link is when you click here you will be redirected in payoneer home page and able to get 25$ bonus as a commission. The commission you will be get after funding at least 100$ for your first payment. If you don’t use this link you won’t get the commission anytime. It’s great opportunity for everyone. Now click on “Sign up and Earn $25”. Now fill up with your all real information you find using these 4 steps. Step 1: After opening your registration form you will see two categories 1 is individual and other 2 is company. Select individual and put your first name, last name, e-mail address, re-enter your email address and the date of your birth according your NID or something like that what is presenting your real identification. And click “NEXT” button. Contact Details Step 2: Now select your country, correct address, city zip / postal code and your personal mobile operator number. This form is too important because when you finally wish to order a master card from payoneer this address will be accepted as your shipping address. Then click “NEXT” button. Security Details Step 3: In this step you have to create a password. This password will help you in future when you want to log in your payoneer account. Now select a security question and answer. This is sensitive. Don’t forget at all or you could save it anywhere in a safe place. Now put your ID number. This could be your NID number or passport or driving license number. Then click “NEXT” to go to the final step. Almost Done Step 4: Select the country where you opened a bank account already and currency. Now fill up your bank name, branch name, account holder name and account number. Mark with two option you notice below the form and click “SUBMIT” button. Finally, when you submit everything then payoneer will review your application. After completed review you have to prove by given all of your identification. You need to provide two types information in your payoneer account for verify your account. One is your uploading your personal identification card’s front side and second is the back side if you are using your National ID card. For the security reason you should select 3 questions and answers. This will be needed if you want to change your any information in future. In the past, payoneer automatically provided the master card but recently if you need that card you have to fund at least $30 then you will get the option to order a card. In the bangla video tutorial I said everything regarding Get paid from CPA Networks by Payoneer card. So, enjoy the Basic CPA Online Course-P2 and advance welcome to see you in the next CPA video series, till then have a good time. CPA means “Cost Per Action”. So, you will get paid after completed any action. Such as: email submit, pay per call, download/install, registration, credit card (cc) submit, zip submit etc. It’s easier to earn than any other earning formula. Many of people trying to learn CPA Marketing but they failed. Most of the people trained from an institution but they don’t get proper support after training completed. After successfully complete CPA course trainee also has some responsibility. They just take the course by seeing like that “Income guarantee” without searching outline. The outline is important because you will able to know that what you are going to learn from this course. After that, most student start dreaming huge online income without doing hard work. Remember, passing 10 hours in front of your computer not means that you worked 10 hours. I saw many people like that they passed all the night watching movie or playing game but express themselves as they worked hard entire night! So my suggestion is don’t make fool yourself. 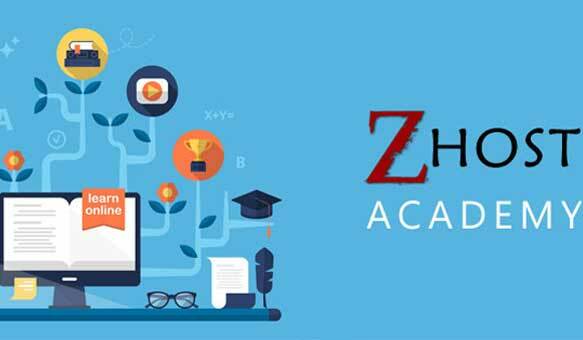 So, if you want build your career as a CPA marketer and need professional and perfect guideline but yet don’t get opportunity to attend any “CPA Training Course”, you should join zHost Academy. zHost Bangladesh designed a Free CPA training courses online and will be started from 19th August 2017 with some easy conditions. All classes will be taken by online. Also you will have opportunity to ask questions to our CPA trainer. We welcome everyone to this online course and prepare yourself as a success CPA Marketer. The CPA online courses will be conducted by “Riad Alam Khan”, Professional online Marketer and Chief Marketing Officer of zHost Bangladesh. He has more than 6 years’ experience in Online Marketing. He is doing CPA Marketing since more than 3 years and successfully trained lot of students worldwide. He is also expert in several platforms such as: Forex trading and signal provider, YouTube marketing, Email-marketing, Social Media Marketing, Google, Bing Ads marketing, PPC, PPV, Banner Ads Marketing etc. What you achieve after successfully finish the Online CPA training? Our goal is provide our Bangladesh youth a clear idea of CPA Marketing. Once you successfully complete the course you will able to start your work and get inside. We highly hope that every student will be able to earn money if he/she follows our all instructions and guideline properly. CPA mainly relies on marketing. More you know about the traffics behavior the more you can earn and we are working hard to deliver proper and sound knowledge to our Bangladeshi online community. How you participates the online CPA program? 3. Collect at least 5-10 IT institutions information near your local area. 4. Finally, register here with providing all the information you collected and send to here: https://www.zhostbd.com/free-cpa-course-registration/. Please note: We will check all data after completing your registration. 1. You can’t promote any other brands or products. 2. Any kind of slang words, hurting someone, misbehave fully prohibited. 3. If you have any question you can post or comment under the tutorial subject related. 4. Always respectful with the group you joined. 5. Don’t block any admit if you do then you will be banned forever. 6. Avoid fake facebook ID. If seems like that we will block this. 7. If you we found any violation or report of someone we will check it and closed if its proved. 8. Authority has the full access to change or modify anything anytime. We noticed that too many people are suffering with CPA marketing. We will try our best to support you. We make this online training course easier as we can so that everyone specially the newbie can understand and start earning. Wish you all the best and a successful career. Please note, we do not promise 100% income guarantee. Those are false statement, only you can earn if you learn properly and work hard. zHost Bangladesh organize CPA online courses to help and grow IT industry in Bangladesh.